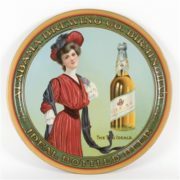 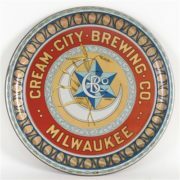 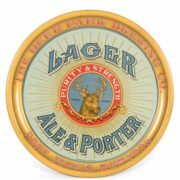 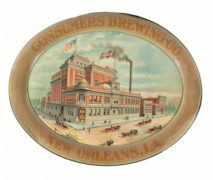 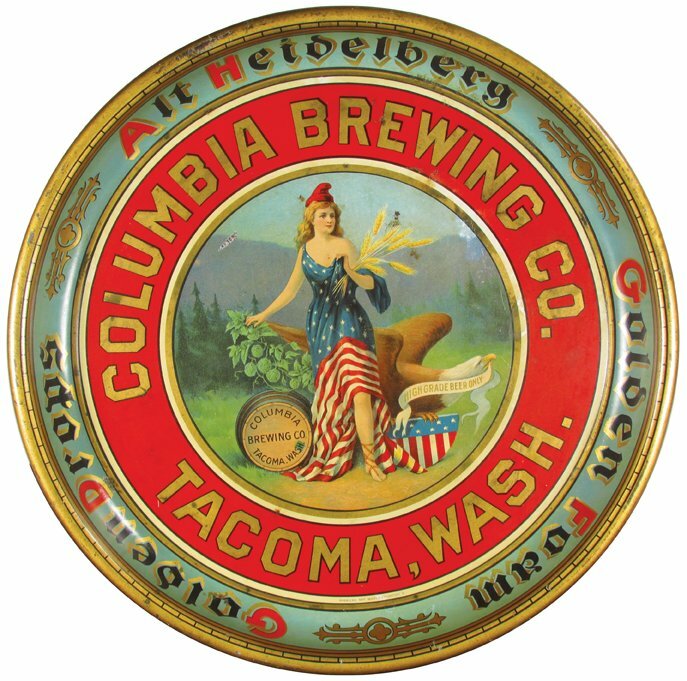 The Columbia Brewing Company put out this stunning serving tray and was able to advertise all of their major brands on the inside rim including Alt Heidelberg, Golden Foam, and Golden Drops. 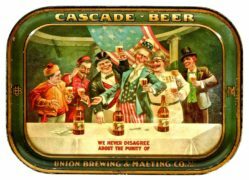 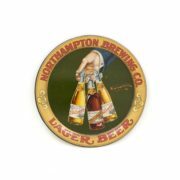 The Tacoma, Washington based brewery utilized a patriotic young woman decked out in red, white and blue as the main image on the tray to help ensure the tray was noticed. 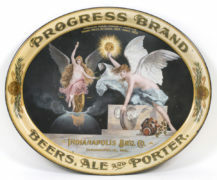 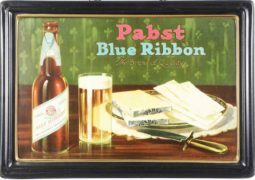 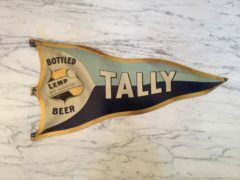 Apparently it worked collectors today still talk about how this tray stands out as one of the most beautiful trays of the pre prohibition era.